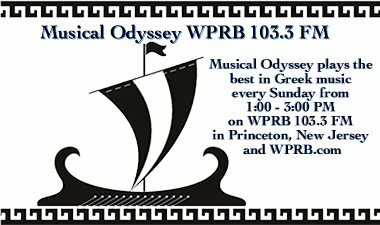 During Spring, 2003 I created an online survey for all current and former hosts of Musical Odyssey. The response rate was pretty good. However at that time I was not updating the Musical Odyssey website and I never posted the answers. What years did you host the show? Did you host the show yourself or did you co-host the show? Usually we were taking turns; sometimes we were two or more at the studio. A few Saturdays I was alone. Most of the time I co-hosted the show. Hatzidakis, Theodorakis, Mikroutsikos, Savvopoulos, Laika (popular) songs, singers like Protopsalti and Arvanitaki, Dalaras, Dionisiou, Mariza Koch, Zabetas and older stuff (Vembo, Attic) etc. I think I was one of the first and few to play folk and Byzantine music: especially Chronis Aidonides and Asia Minor folk songs, Domna Samiou and cantors like Lykoyrgos Aggelopoulos and Theodoros Vasilikos. I really liked the opportunity to host Musical Odyssey and I am grateful to my friends and older DJs like ………… who introduced me to Musical Odyssey. The moment for which I felt that my Sunday afternoons were worth was when somebody called me from the prison and asked me to play "To 13 to kelli" (= cell number 13) by Kazantzidis. Some special shows we had: "Comedy / fun show" with jokes, funny/satirical songs, and the live singing of a song by a couple of friends at the station. In 1989 or 1990 (after I left Princeton) there was a live interview with singer Ms. Paspala who was visiting NYC at the time. On a national holiday (or some other date of historic importance for Greece) I made some comments about the political connotations of a song and received a phone call with further information / clarifications about the politics of the situation I was discussing. I was happy I triggered this reaction. 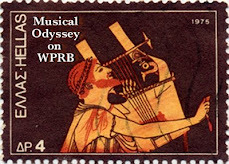 I hope that Musical Odyssey is sustained. I was even asked to play Vembo (known for her songs before WWII).